During Armory Arts Week, SPRING/BREAK Art Show will host its seventh annual art fair. This year’s theme is “Stranger Comes to Town”. 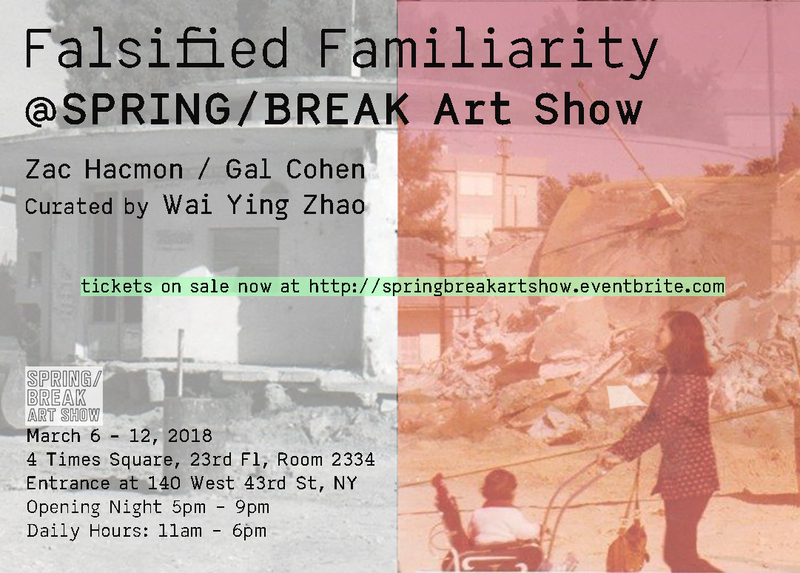 Curated by Wai Ying Zhao, “Falsified Familiarity” is a collaborative show featuring the works of two Israeli born artists, Gal Cohen and Zac Hacmon. Through sculptures and paintings based on their urban surroundings, the exhibition studies the struggle of the built environment going through the process of urban decay due to political and cultural changes.The artists exemplify different level of agency in dealing with environments that change out of their control. Their work responds to the altered urban landscape and offers the viewers to travel in between the past and the present, the central and the peripheral and offer a platform for alternative collective memories to form. The show will be open daily from 11 AM—6 PM. Learn more about SPRING/BREAK Art Show. Tickets available here.